This page outlines the resources I use to select my shares, track my portfolio and maintain this Blog. I hope you find the details useful. If you have any questions, just contact me here or leave a Comment in the box right at the bottom. I have used SharePad since 2015 and consider the service to be exceptional. The SharePad website has full details of what is on offer, but in brief I use the service mostly for stock screening. The beauty of SharePad versus Stockopedia and Company Refs is that SharePad allows you to filter on just about any combination of financial measure. a pension deficit of, say, zero. You just can’t do such in-depth filtering within Stockopedia and Company Refs. Indeed, I have used both Stockopedia and Refs and neither come anywhere close to SharePad’s vast amount of fundamental data and stock-filtering flexibility. SharePad costs £300 a year, and it is the only investment service I pay for. I must confess, I probably use only 20% of SharePad’s capabilities. The service provides all sorts of intricate price charts, as well as comprehensive data on US stocks and the wider markets. E-mail alerts, multi-window layouts and something called the carousel are other features I have yet to really employ. Anyway, SharePad does offer a 30-day money-back guarantee to give you time to assess the service without a full commitment. What’s more, special offers occasionally arise that allow you to use the service for three months for something like £30. If you do join SharePad, please let me know how you get on through my contact page. I buy and sell my shares using two online stockbrokers — Youinvest.co.uk and Selftrade.co.uk. Since then, reasonable dealing charges, decent administration and an absence of major problems have kept me as a customer. Youinvest is now the first broker I consider when opening a new account — or as a new home for an old account. In contrast, I have ended up using Selftrade following various stockbroker mergers. Years ago I had a comdirect account, which became Squaregain , which became Selftrade and then became part of Equiniti. I have stuck with Selftrade as the trading costs are not too bad, and I have found the service is more likely to trade smaller-company shares ‘at best’ — and therefore without the use of limit orders — than Youinvest. That said, the Youinvest website is easier to use, its dealing costs and other fees are cheaper, and the service even allows me to vote on EGM resolutions. The Selftrade website is awful. I should add that both Youinvest and Selftrade suffered website problems during the sell-off that occurred immediately following the Brexit vote. Other (more expensive) brokers suffered similar difficulties, and I have resigned myself to being unable to deal during times of sudden market turmoil. The fees for Youinvest are here and the fees for Selftrade are here. If you own funds, be aware that both services charge percentage administration fees based on the value of your fund investments. I own only individual shares, so my annual account fees are limited to a £30 ISA custody charge (Youinvest), a £100 SIPP custody charge (Youinvest) and up to a £32.46 ISA custody charge (Selftrade). No doubt there are cheaper broker alternatives. However, I would like to think my time would be better spent hunting for attractive investments rather than trying to save a few pounds moving to a new broker. This Microsoft package was discontinued during 2009, but I continue to use it because the thought of transferring all my trade details (dating back to 2004) to another application fills me with dread. MS Money actually works quite well, and provides the calculations for my Portfolio page. My reluctance to switch from MS Money meant for years I ran an old Windows XP machine purely for hosting this package. Then I discovered VMware Fusion, which allows Windows programs to run on Apple Macs. So now I have a convoluted set-up, whereby I run MS Money on a Mac via Windows XP through VM Fusion. A quick Internet search found pages such as this where MS Money can be downloaded for free. I visit Investegate every morning to read the day’s regulatory stock-market announcements. This website is free. you can sign up for e-mail alerts. Investegate’s main drawback is the site’s slow loading due to adverts. But I can live with that. I use ADVFN to check live share prices. I use the site’s free service, which gives live prices for about five seconds before being timed out. 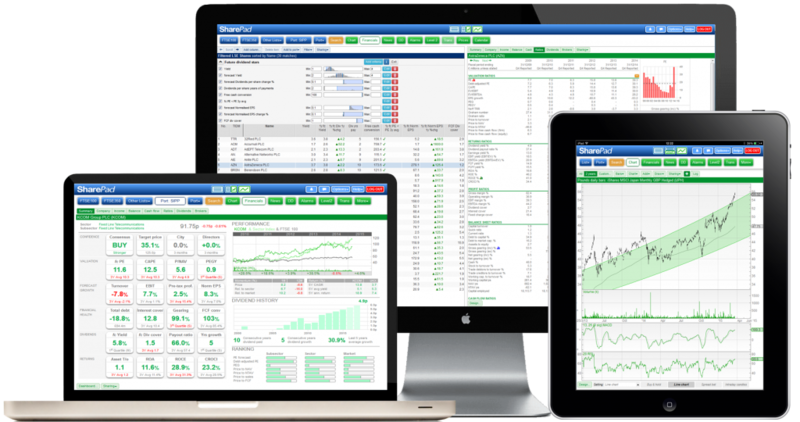 You simply register for a free account and then create a portfolio for price monitoring. Importantly, I have installed the ADVFN app on my iPad. That way, when the free live-prices feed times out, the prices do not disappear from my screen. On a desktop, the prices sadly disappear when the timeout occurs. The other advantage of ADVFN’s iPad app is that you are not deluged with the adverts that appear on the desktop version. Just so you know, I have never felt the need to pay for Level 2 pricing. The only other investment resource I use regularly is Companies House. 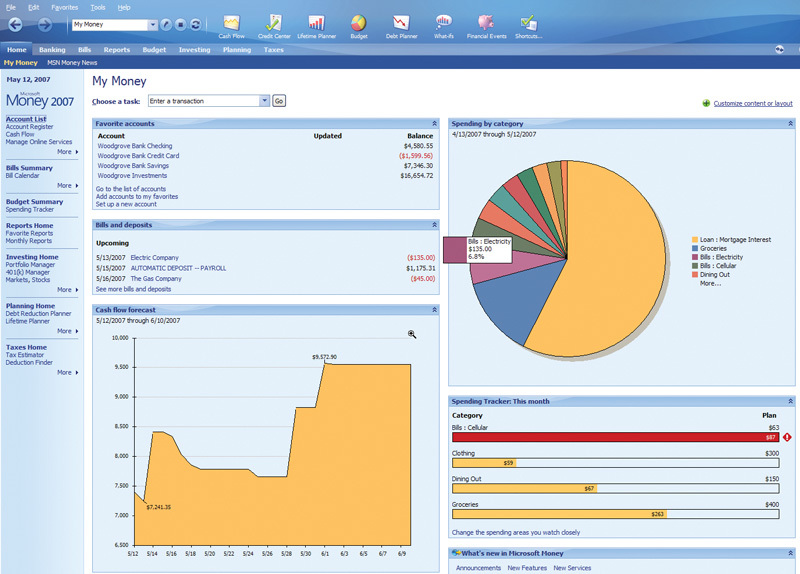 The beta version allows you to download annual reports for all UK companies for free. Needless to say, the site is incredibly informative. Of course, you can visit company websites for annual reports. However, Companies House allows you to dig back to the 1970s if need be for past accounts. For real investigative investing, subsidiary accounts as well as the main PLC accounts can also be downloaded. Maybe one day we will all have to pay for these downloads. But for now I am making the most of the free access. I don’t bother with investment publications such as Investors Chronicle, MoneyWeek, Shares magazine, and so on. Having been a share tipster in a former life, I certainly don’t bother with any share-tipping services either! I occasionally look at the ShareSoc events page for upcoming company presentations, organised by ShareSoc and others. I am a ShareSoc member, which allows me to attend the events for free. I have used Tsohost.com to host maynardpaton.com ever since I started my website during March 2014. At the time I had only a brief experience of webhosts through 123-reg, which back then did not offer a simple WordPress set-up. I simply thought Tsohost’s service appeared far better, and I have been quite satisfied with how things have turned out. One feature of Tsohost’s service I have become to really appreciate is the daily backup. Not every webhost provides such backups, and I would not underestimate the reassurance this service provides given the possibility of your site one day not working due to hackers or duff plugins. I pay Tsohost £60 a year to host up to six websites with up to 10GB of storage. My maynardpaton.com domain name costs £12 a year and includes privacy protection — so my home address is not shown on pages such as this. So all in this site costs £72 a year to run and have capacity to host a few others. 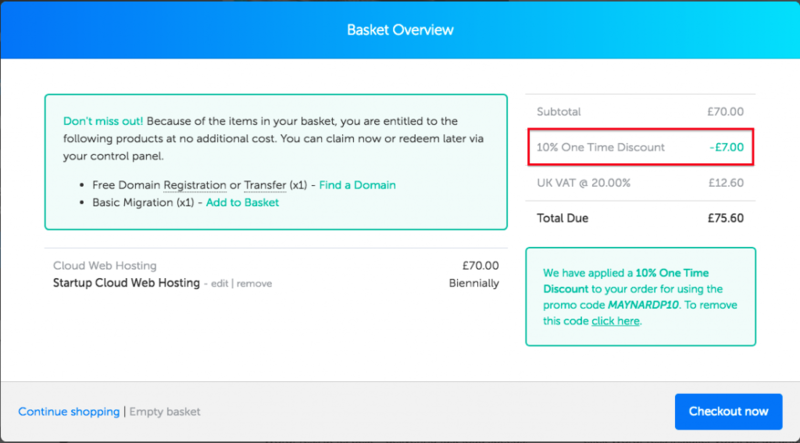 Every Tsohost customer gets a discount code, and I am happy to publish mine to help you save a few pounds when joining the service. Then click the > to the right of the code to show the discount applied. Sadly the discount code — and the free domain name — is valid only for the initial purchase. You will pay the full price when you renew. Simply click this link to see all of Tsohost’s price plans. I must admit I have not really looked to see if there are better-value hosting alternatives available. To be honest, I have not really felt the need to, and I would like to think the savings are too small to bother with. Furthermore, the thought of migrating a live website does fill me with dread! For now at least, I am happy to stick with Tsohost unless its prices increase significantly or the service/support deteriorates badly. Here is a quick rundown of my WordPress set-up. Everything in this first batch is (or was) free. 1) WordPress 2012 Theme: Chosen for its simplicity and ‘responsiveness’ (how it displays on different screen sizes). 2) Akismet Anti-Spam: Comes installed with WordPress, and has blocked 20,000-plus spam comments, but proven fallible with newsletter spambots (see CleanTalk below). 3) Better WordPress Recent Comments: Now a very old plugin that puts the latest article comments in the sidebar. 4) Child Theme Configurator: The safe way to implement site/theme redesigns, with the fallback of easily deleting your changes if something goes wrong. 6) Contact Form 7: Provides a very simple contact form. (Note: Contact Form 7 currently conflicts with WP SpamShield (see below). 7) MailPoet 3: A wonderful drag-and-drop newsletter designer. 8) MainWP: Allows multiple WordPress sites to be managed from one location. A massive time-saver. 9) Pretty Links: Creates short links such as https://maynardpaton.com/g8oj and keeps track of clicks. Ideal for monitoring traffic from links submitted on Twitter. 10) Social Sharing (By Danny): Creates a simple social-media sharing link at the bottom of my Blog posts. Very neat and code-light. 11) TablePress: Creates all of my Blog data tables. Can be clumsy to use but I am not inclined to look for a better alternative. 12) The SEO Framework: Helps optimises my posts for search engines and Twitter. Tricky to understand at first but seems to be working. 13) UpdraftPlus: Backs up my WordPress sites to Amazon S3. Integrates well with MainWP (see above). 14) Wordfence Security: Very comprehensive security and traffic-monitoring plugin, although has proven fallible with newsletter spambots (see CleanTalk below). 15) WordPress Force HTTPS: Forces old http pages to https after installing an SSL certificate. 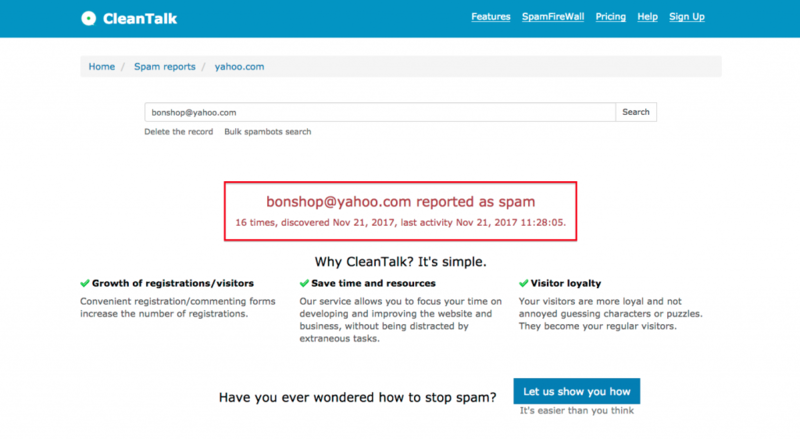 1) Anti-Spam by CleanTalk: Quite simply the best defence against spambots around. Place any newsletter sign-up box on your blog and you are likely to capture no end of dodgy e-mail addresses from spambots. Sadly Akismet, WP SpamShield and Wordfence all let the spambots slip through. With CleanTalk installed, I now receive two or three fake sign-ups a month, if that. The plugin is utterly brilliant for just $6 a year. And no stupid (re)captchas, too! More details on the CleanTalk website. 2) GPL Vault: Not everyone’s favourite website, but the WordPress licensing system means premium plugins can be redistributed at low or no cost by third parties. I pay $87 a year to GPL Vault to access all sorts of expensive WordPress plugins, including WP Rocket — which speeds up my site by caching files. More details on the GPL Vault website. 3) CSS Hero: This neat plugin allows me to refine the look of my site without any specialist coding knowledge. I have used CSS Hero primarily to modify the input boxes and submit buttons on my Newsletter and Contact pages — their default layouts looked quite clumsy. The headline cost is $29 a year for one website, but I managed to pay $19 during a sale. More details on the CSS Hero website. I plumped for an unusual newsletter set-up in order to mitigate the long-term cost of maintaining a growing e-mail list. Most bloggers adopt a service such as MailChimp, which is easy to use and offers a free service for up to 2,000 e-mail contacts. However, breach 2,000 contacts and the costs can quickly ratchet higher. For example, MailChimp charges £24 a month for maintaining 2,001 to 2,500 names on your lists. Reach 3,000, and the MailChimp monthly cost jumps to a hefty £40. Having collected 1,000 or so Twitter followers in three years — with barely any Twitter engagement — I was worried my e-mail list could balloon in a similar fashion and leave me broke with MailChimp. So I looked for a cheaper, long-term alternative and found Sendy. Sendy is a self-hosted newsletter software package that runs on an Amazon Web Services (AWS) server. The beauty of using Sendy and AWS for sending e-mails is that your first 62,000 each month are free, and then every further 10,000 cost only $1 (yes, $1!). To cut a long story short, my annualised AWS server/e-mail costs are pretty much fixed in the £70 to £80 range and I don’t have to worry about list sizes or sending frequency. In fact, so impressed I have been with Sendy and my new-found AWS skills, I have documented the steps I have taken so other bloggers can save £££ on their e-mail bills. Here is the website and full Sendy guide. If you want to know more about my MailChimp alternative, just contact me here and I will do my best to help. You may have already explored this, but I use Google Sheets, with the GoogleFinance function to retrieve share prices in to the spreadsheet. It’s great, and for lots of markets the prices are live. Given it’s a spreadsheet, you can be very flexible in what you want to see, and how you set it up. You can access the sheets on phones / tablets too. I also have a Google Sheet linked in to Twilio, which without me opening it, will refresh every minute on the Google server, and if shares cross either a high or low price it will send me a text with the details. I got this idea from someone else (including details of how to set up), it’s been really useful, and actually helps me check prices less. I’m more comfortable not checking share prices, if I know they are being regularly reviewed against set prices I have set, and will be alerted if they cross over. I thought your ADVFN method to view live share prices didn’t sound great, so thought this might help. Happy to help with how to set up, if interested. Thanks for the Comment and tips. I must admit my ADVFN set-up does not sound great, but I do find it convenient on the iPad. I occasionally have a sneaky look at the ADVFN discussion boards, too, so there is the convenience element to that as well. Something I did not mention is that ADVFN shows bid and offer prices, which I tend to focus on as the shares I own mostly have larger spreads. I have tried price alerts before — can’t remember with whom — but did not get on with them so have never considered them again. I would have been most interested to hear what broker(s) you use for dealing. Barclays was quite good for sizeable portfolios but with ‘smart investor’ has lost my confidence. IWeb seems OK but has no telephone service as back up. Btw fondly remember your ‘value’ strategy and informative articles on the Fool. Thanks for the comment. Glad you liked my Fool stuff. Good point about brokers. I shall update this page accordingly in due course. I keep UK ISA shares on iweb. Cheap (£5) and no extras. iweb does not show bid-offer prices . I also use Interactive Brokers for US shares, it is cheap and sets a limit price automatically. IB can trade all exchanges I believe. Thanks John. Must admit I have not looked at iweb for years. Might be time to revisit!